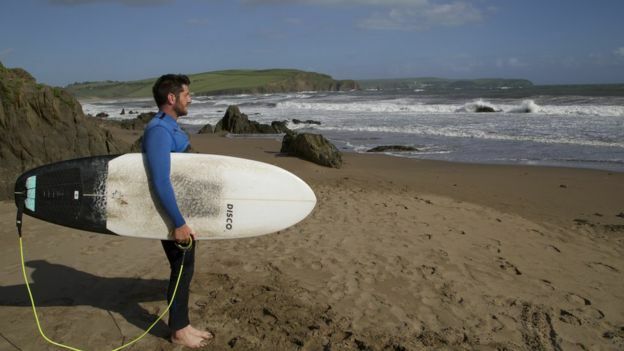 Home » Surfer Bitten By Shark At Bantham Beach In Devon! 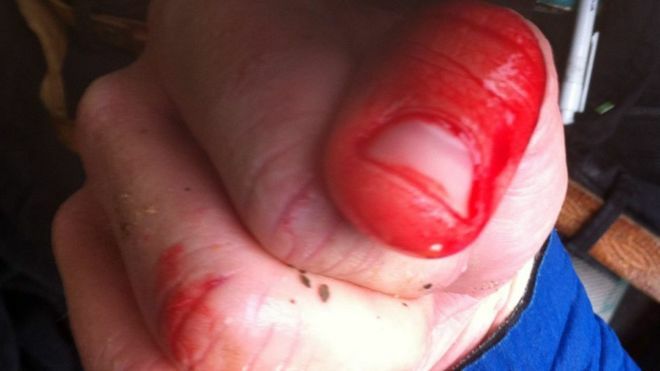 Surfer Bitten By Shark At Bantham Beach In Devon! Surfer in Devon bitten by shark! Well here’s a story we never thought we’d write. You know they’re out there, you read about them taking chunks out of poor souls on the other side of the world regularly, but you never thought you’d see the day a surfer in the south west got bitten. However it’s just happened, for the first time ever in English waters according to the BBC, to an unsuspecting teacher from South Devon. Thirty year old Rich Hornton was left with a bleeding hand and bruised leg after a meter long ‘Smooth Hound Shark’ latched onto his thigh during a surf at Bantham beach. Rich’s savaged hand. Photo BBC. “I turned round and saw this little shark was on my thigh and wriggling its head side to side,” the seasoned local told the BBC. “I hit it on the head and it swam off. My hand was cut to pieces. I had a quite a sizeable bruise about three inches across,” he said. “I went home and told my wife I was late because I had been bitten by a shark,” he said. 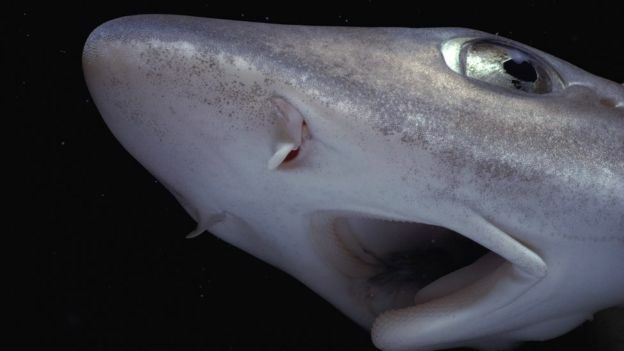 “British waters are home to a wide diversity of sharks with a number of coastal species such as smooth hound, tope and cat sharks often reported by beachgoers and water users,” said Ali Hood, director of conservation at the Plymouth-based Shark Trust, adding that this one would ‘likely have been disorientated’. Seasoned surer Rich surveying the conditions. Photo BBC. Wildlife publisher and illustrator Marc Dando identified that it was probably a smooth hound. “It would be a shock because all sharks have powerful jaws,” said Mr Dando. Let’s hope this is, as the experts quoted above say, just an anomaly, and not part of a worrying pattern worldwide that has seen human encounters with sharks rising steadily over the last few years. Seriously though, don’t worry, chances are most people have sustained more severe injuries chopping a tomato.